Just a few weeks ago, Ibiza was for us like Mallorca a year ago. The party reputation of the Balearic Island has long prevented us from travelling to Ibiza. Luckily TUI invited us to a blogger trip to Ibiza. Who knows how long this pretty spot on earth would otherwise have been hidden from us? 11 travel crazy people from 5 nations – we just could not say no. After the blogger trip we stayed a few more days to tour the island on our own. At least during our little road trip we fell head over heels in love with the island. 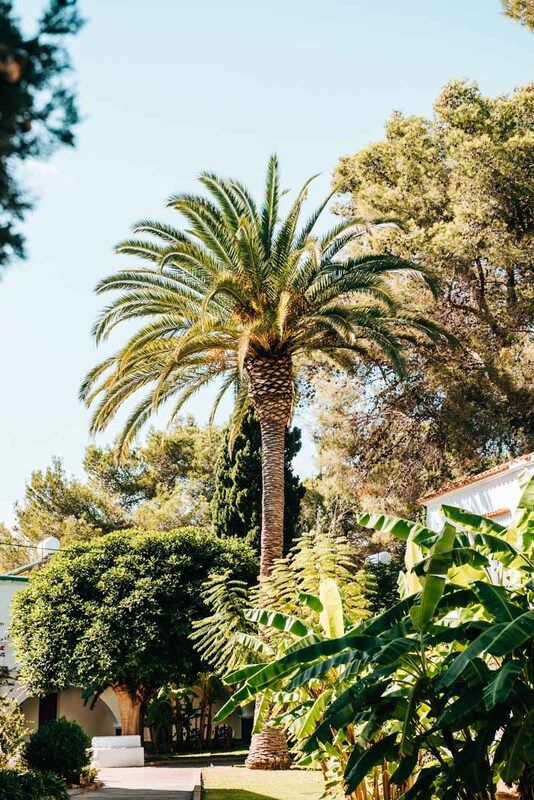 In this blog article we reveal our highlights and insider tips for a holiday in Ibiza. 5. 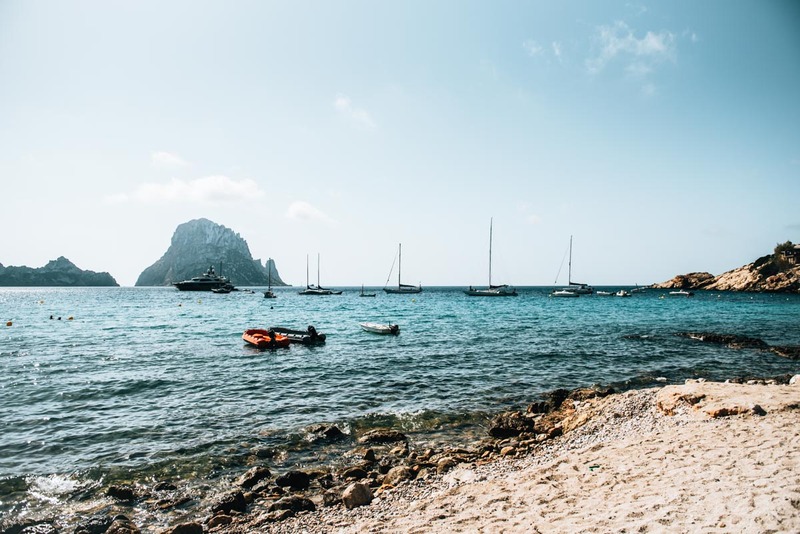 Transport on Ibiza: Renting a car? Yes or No? 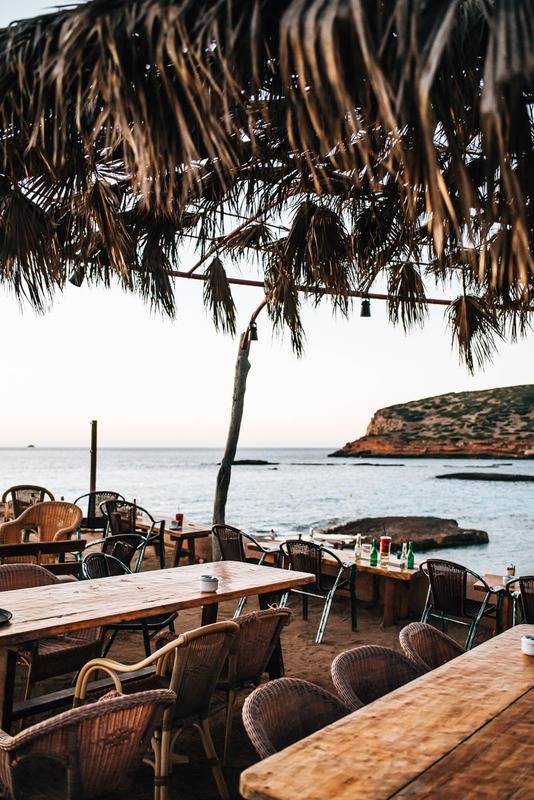 Definitely recommendable is a trip to Ibiza’s neighbouring islands Espalmador and Formentera. Espalmador is teeny tiny and uninhabited. The sand is incredibly soft and very bright. The water is crystal clear and turquoise blue. Formentera, on the other hand, is bigger, but much quieter compared to Ibiza. One day is too short to explore both islands extensively, but at least you get a nice first glimpse. To get to Espalmador and Formentera, there are several options. We joined a guided tour with a catamaran and could see both islands in a relative short time. Our catamaran first stopped in Espalmador. There we had about 1.5 hours to spend on the island. 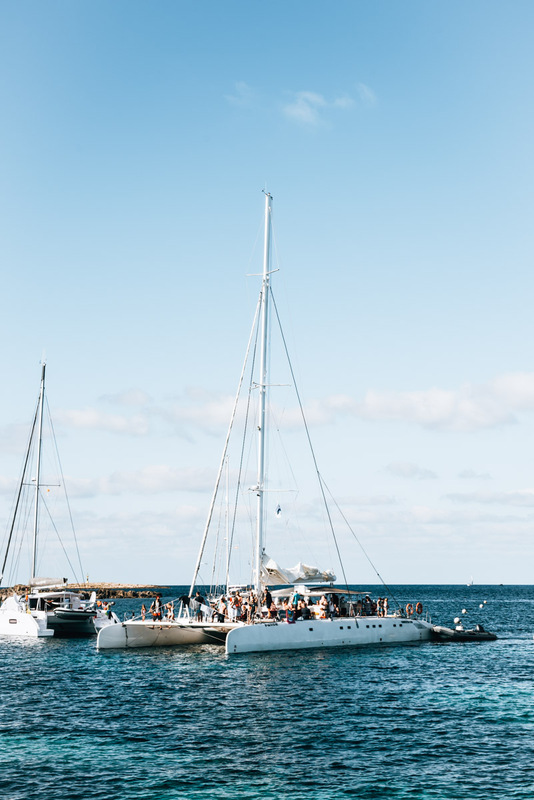 In Formentera, however, we only anchored in the bay. 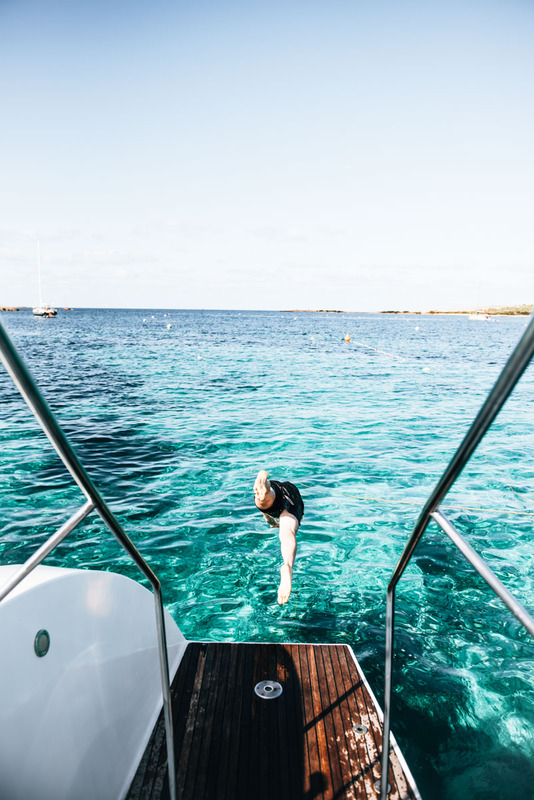 But that was not a problem, because you can jump into the water from the catamaran. Little downside: With us on board were about 150 other guests, which was way too much. So if you want to enjoy the trip in peace, then it should definitely be a smaller boat. The other option is taking the public ferry. 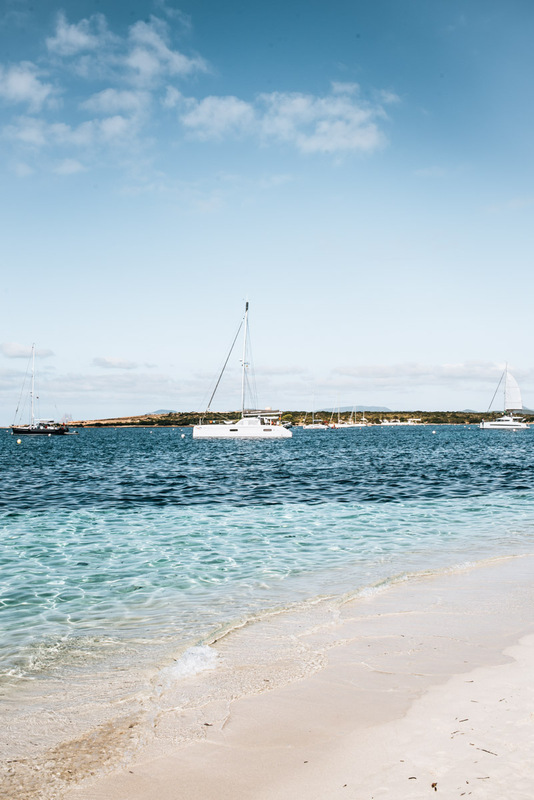 If you only have one day, we would choose Formentera, because you simply have no infrastructure on Espalmador. 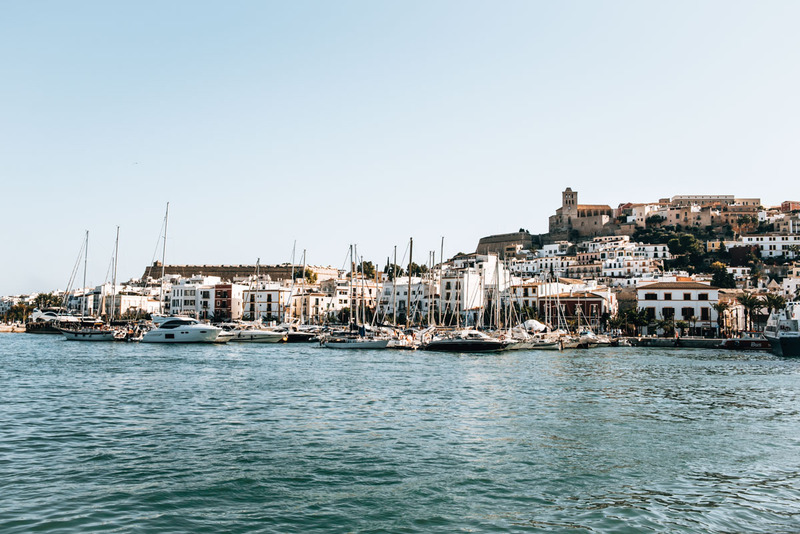 From the port in Ibiza several ferries leave hourly from about 7 a.m. until about 9 p.m. (depending on the season!) to Formentera. 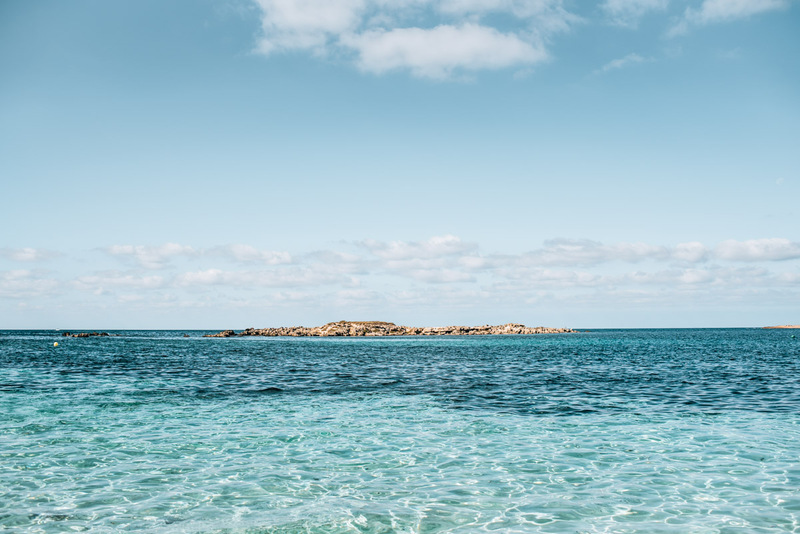 The supposedly most beautiful and, above all, most famous beach of Formentera is the promontory in the north of the island called Ses Illetes. At the port in Formentera you can either rent a bike (it takes about 20 minutes to Ses Illetes), go by taxi or take the public bus. 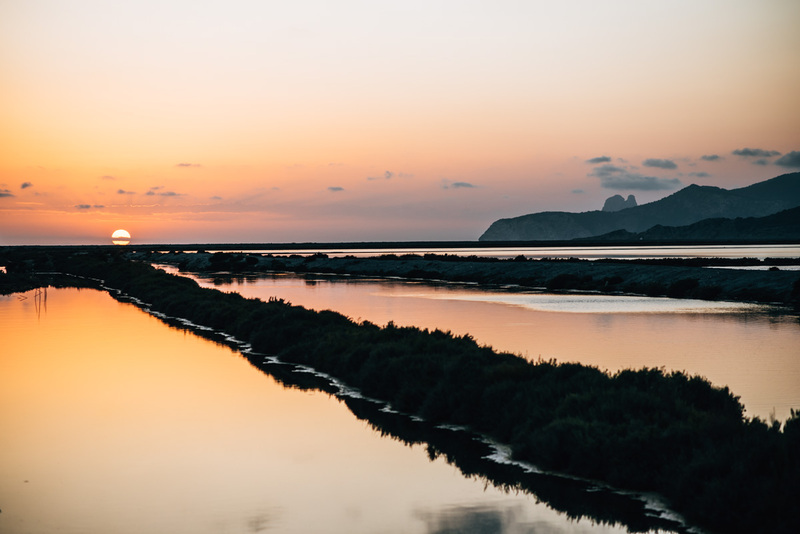 Perhaps the most popular place for sunsets in Ibiza is the idyllic Cala Comte. During the day, this beach is mostly besieged by sun worshipers. Especially in the high season it apparently is extremely crowded here. 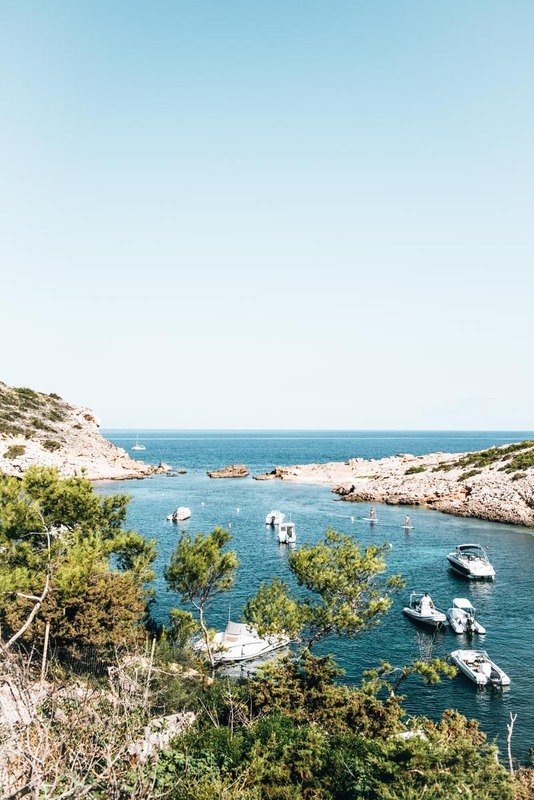 We are not surprised because with its offshore island the Cala Comte is without a doubt an island highlight. 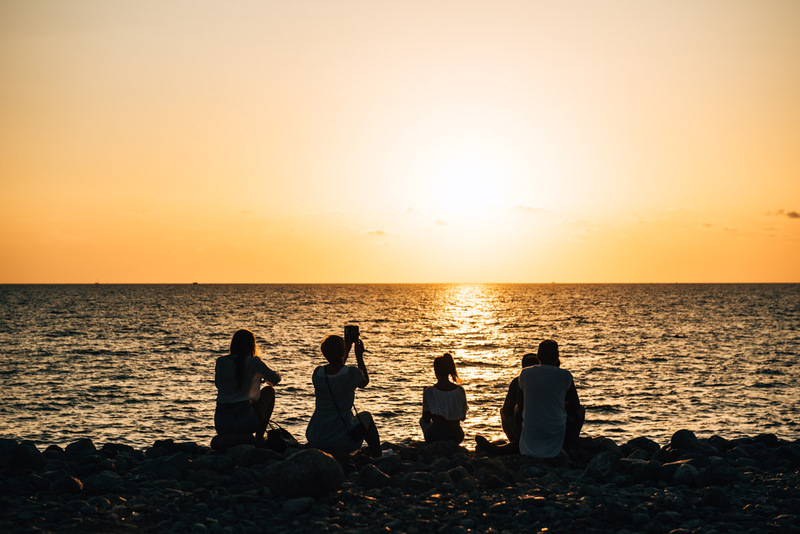 At sunset, you can look for a free spot along the rocks or the sandy beach. If you prefer to go to a beach bar, then we can recommend the Sunset Ashram. The Sunset Ashram is the place for a sundowner in Ibiza. They also offer really delicious food here. Small price warning: You pay for the great location. Main courses cost between 25 and 35 Euros. Also perfect for sunset is the beach club “Experimental Beach” near the salt fields of Ibiza (Ses Salines). Drinks and food are accordingly to its location rather expensive. However, the ambiance is really cool thanks to the lounge music in the Café del Mar-style. Alternatively, you can of course just look for a quiet spot at the beach and watch the sunset from there. A little tip: On the way to the beach club you pass the famous salt fields of Ibiza. The reflection of the setting sun is a pretty photo spot. 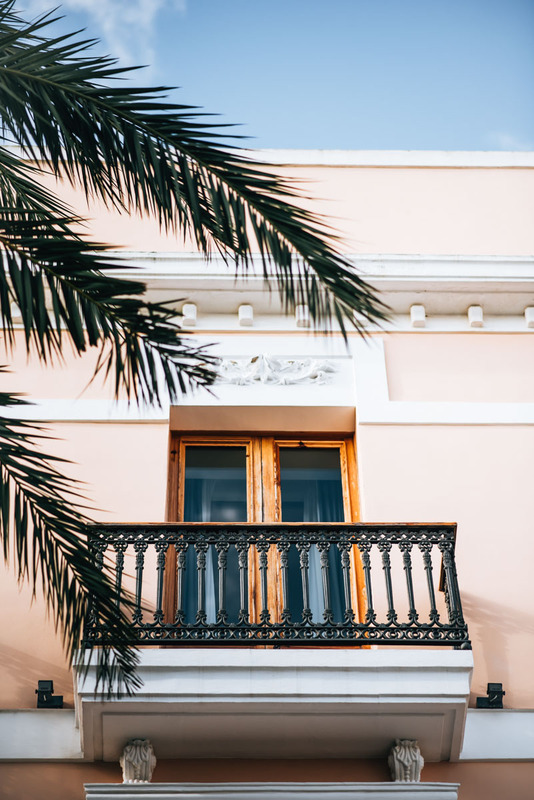 In the capital of the island, we felt comfortable from the first moment on. 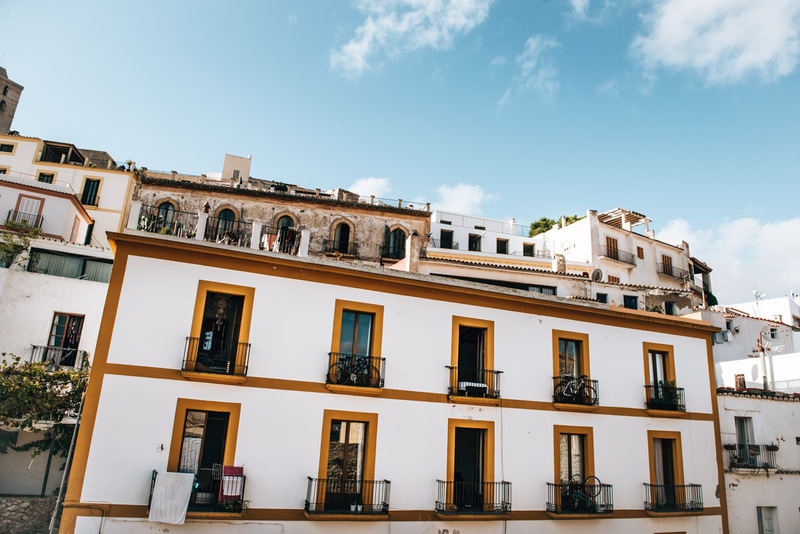 Ibiza Town, also called “Eivissa”, is a nice mix of quaint little streets, small boutiques, nice coffee shops and of course the huge harbour. 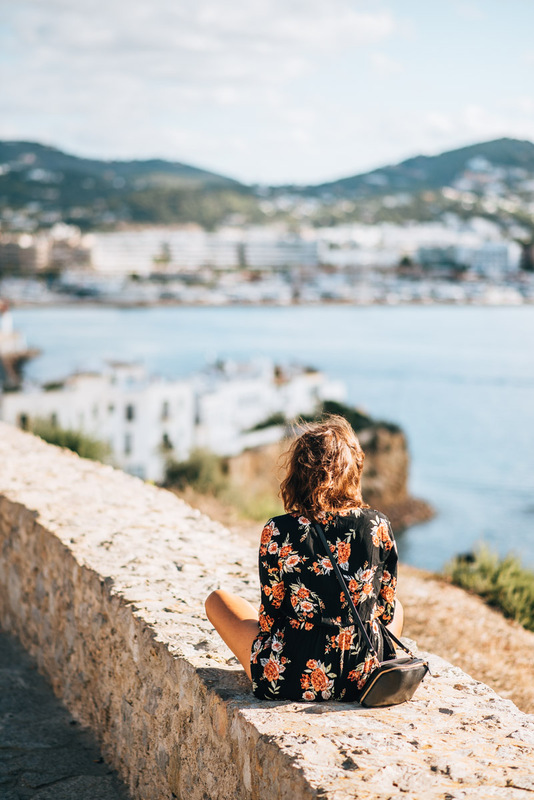 Definitely recommended is a walk along the hilly Dalt Vila (the old town) up to the Cathedral of Ibiza. 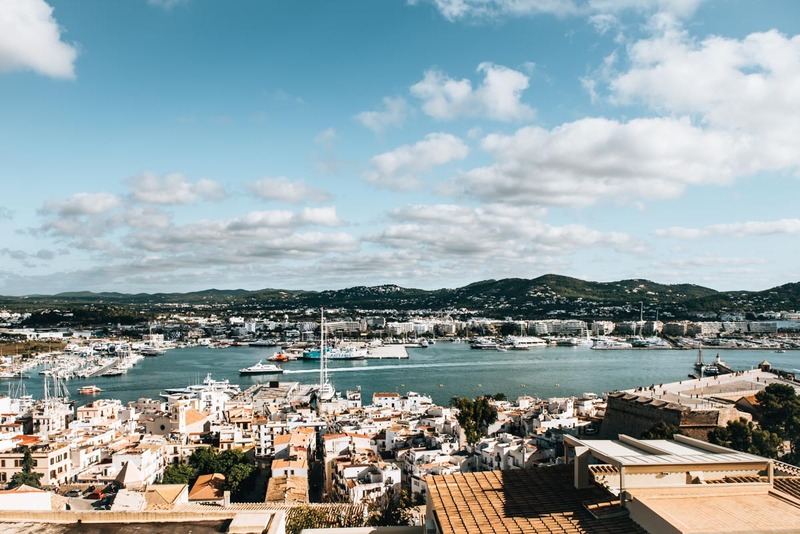 The cathedral towers high above the city and is visible from almost every point in Ibiza Town. 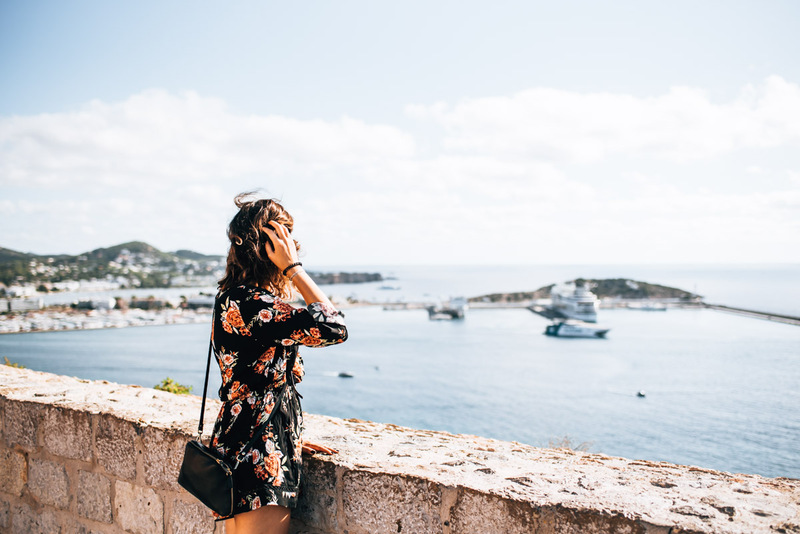 On the way up you will always find viewpoints with a magnificent view of the harbour. We also liked the alleyways around the “Mercado Viejo”, the old market hall. The market hall itself is nothing special, but we can highly recommend a booth in it: Biolunch. 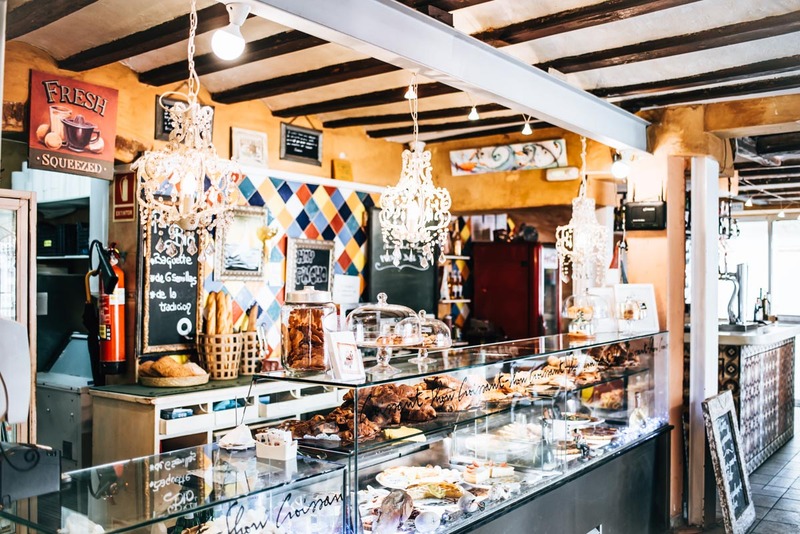 They offer homemade quiches and cakes made from organic ingredients. Perfect if you want a little snack. If you fancy shopping: Right at the corner next to the market hall you will find the Dutch fashion brand Braez. The style is exactly ours: simple, comfortable, but somehow special. There is a shop for men and one for women. We wanted to buy everything in the store. 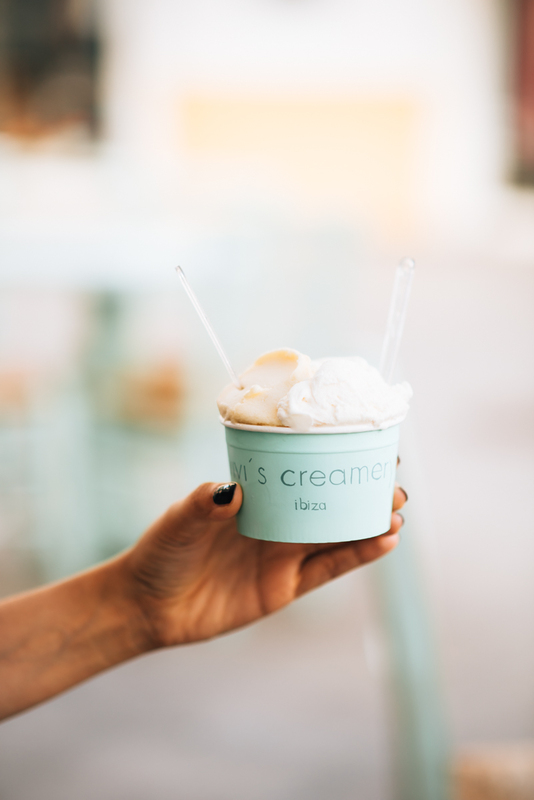 By the way, it is only a few steps from Braez to the best ice cream in Ibiza Town: Vivi’s Creamery. 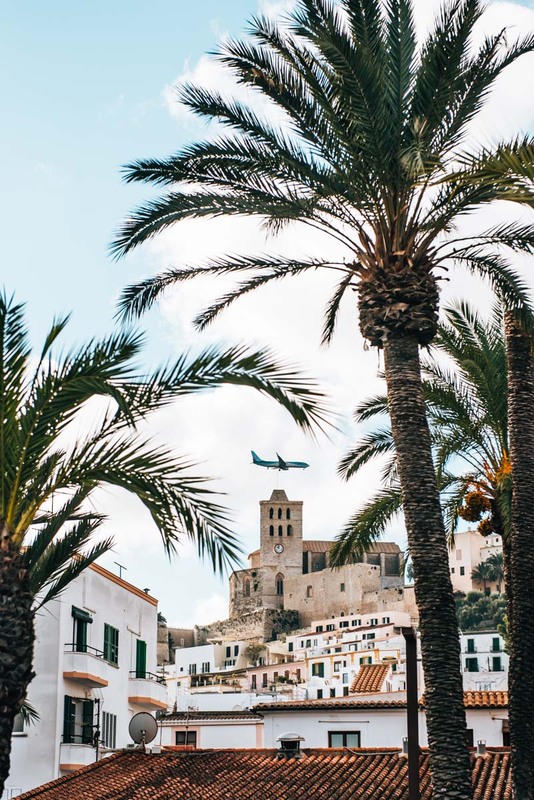 For your visit to Ibiza Town you should plan at least half a day, better a whole day. The best choice for parking is in the huge parking lot “Parking Es Pratet”. It is located close to the harbour promenade. Alternatively, you can park your car just by the roadside. Caution: Parking spaces marked in blue are subject to a charge. The gigantic rock island “Es Vedrà” rises out of the sea only a few kilometers away from Ibiza. 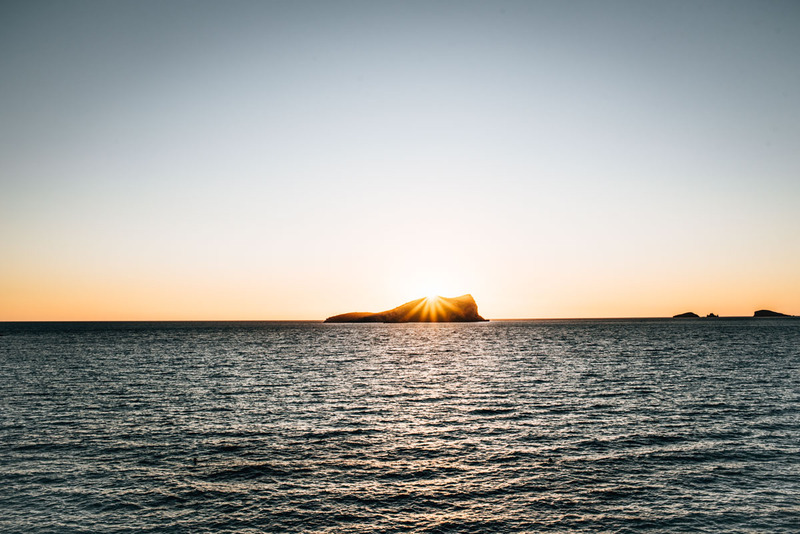 You can always catch a glimpse of the island from the southwest coast of Ibiza. You have the most impressive view from the corresponding vantage point. You will find it on the left at the main road towards Cala d’Hort. Depending how far you drive along the bumpy way, you have to walk about 10 to 20 minutes. Ibiza was known as a hippie paradise in the 60s and 70s. A few remnants of this era remained to this day, including the many colourful hippie markets. The biggest and most famous hippie market is “Punta Arabi” in Es Canar. It takes place every Wednesday until about 19 o’clock between April and October. 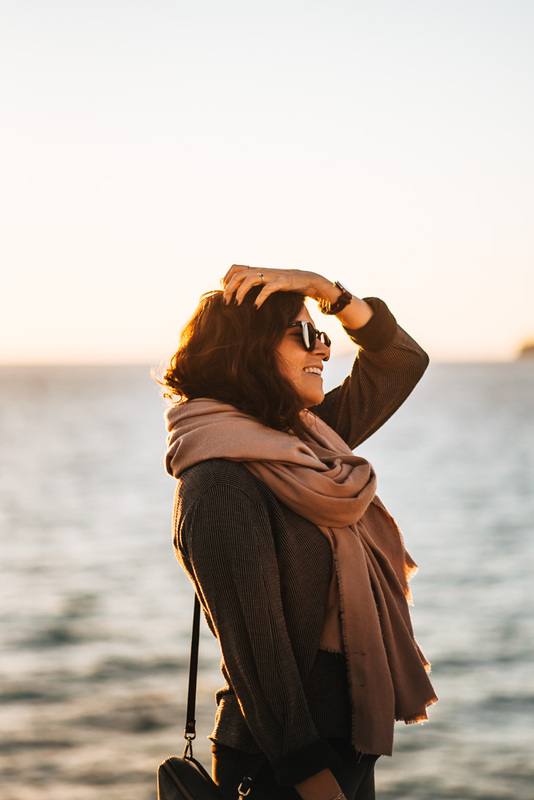 The quality of the approximately 400 stands is mixed, but you can buy some really beautiful jewelry and pretty accessories. 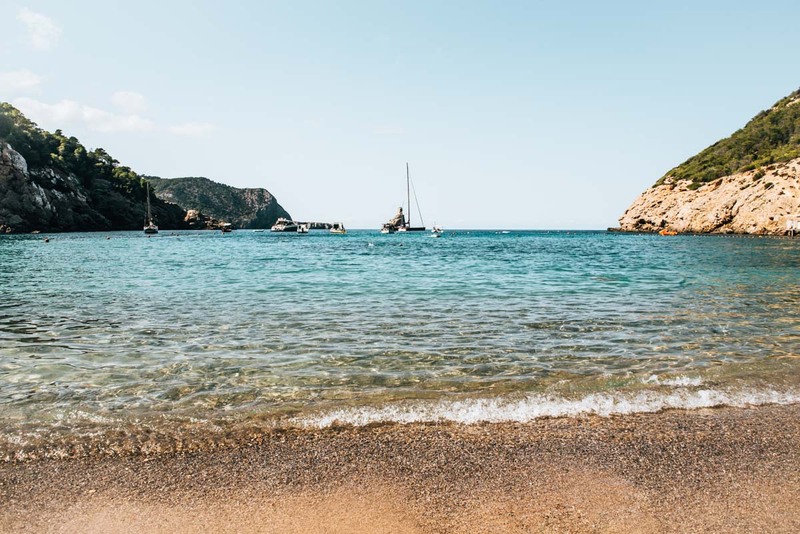 The Cala d’Hort is scenically one of the most beautiful beaches in Ibiza. The view of the offshore rock island “Es Vedrà” is gigantic. 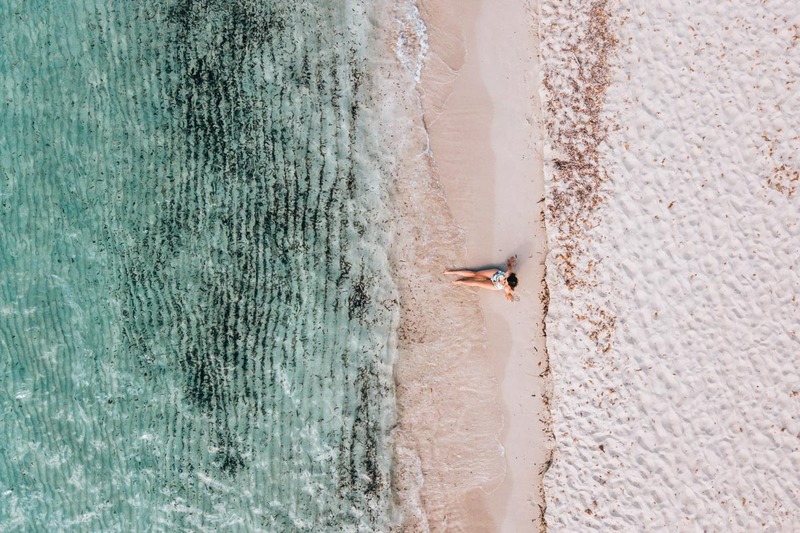 However, you are looking in vain for a fine, sandy beach. The Cala d’Hort is a coarse sand to pebble beach. Especially in summer Cala d’Hort is extremely crowded. Even when we were there in October, the beach was well visited. 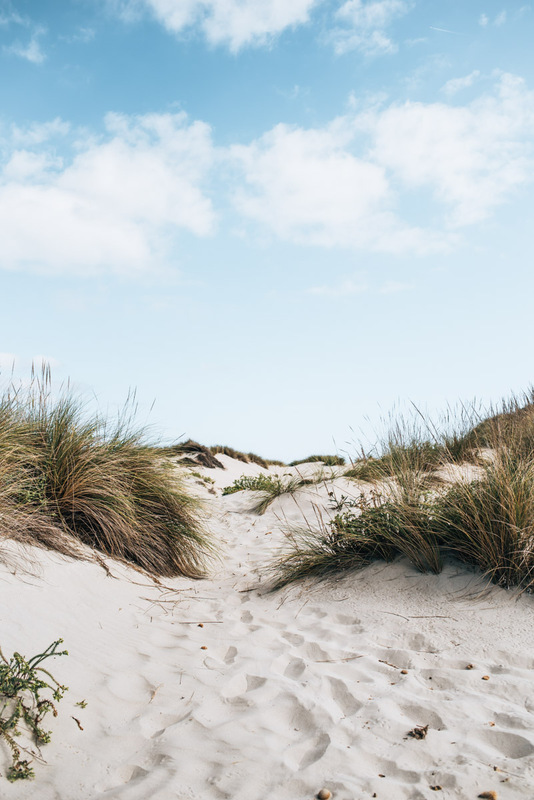 Depending on how crowded it is, you park about a 5-10 minutes walk away from the beach. Cala Benirrás is a small bay in the north of the island. The beach is sandy with some gravel sections. Despite the sandy beach, the water is very clear. There are about 80 beach chairs for rent. Two beach chairs plus a beach umbrella cost 18 Euros. 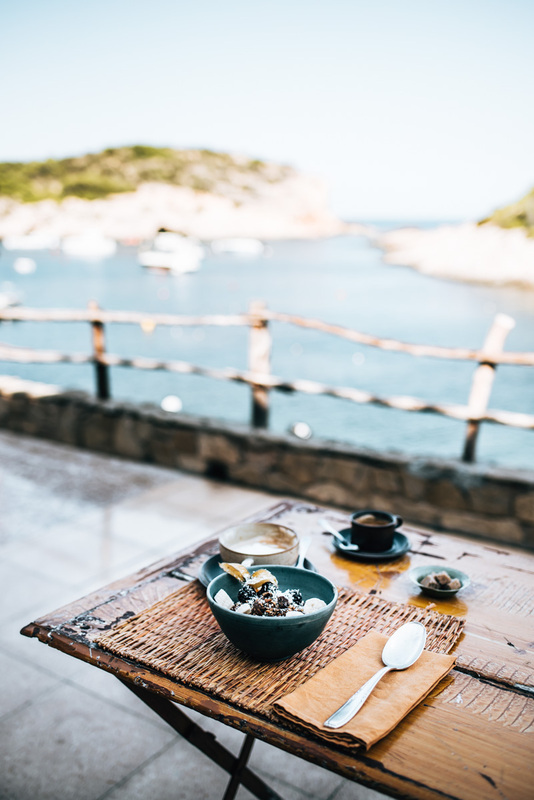 However, Cala Benirrás is not an insider tip. Even during our visit in October, the bay was well visited. 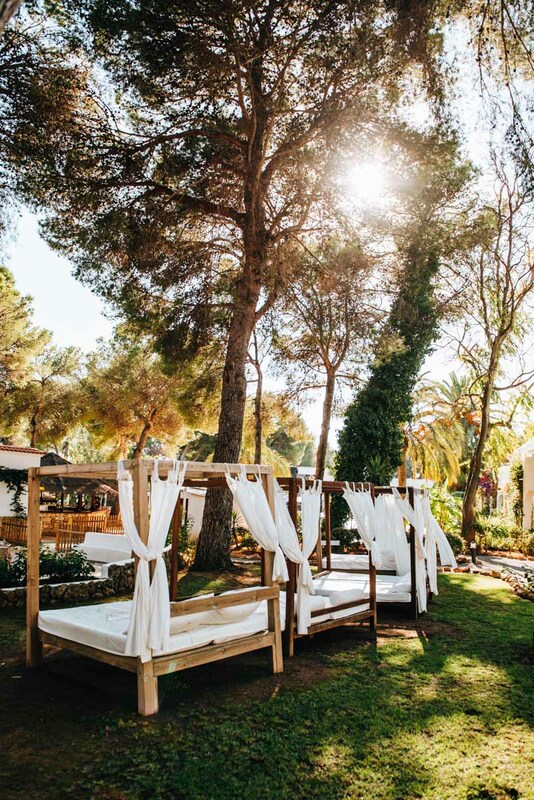 Our absolute favourite place in Ibiza belongs to a small boutique hotel called Los Enamorados. The interior is fantastic, as is the view of the small bay. They serve breakfast, lunch and dinner here. We were there for breakfast and had an acai bowl and eggs Benedict. Both the food and the coffee were very good. In terms of price, the restaurant is rather above average. Our two breakfast dishes each cost about 12 Euros. You should reserve a table, especially in the high season. 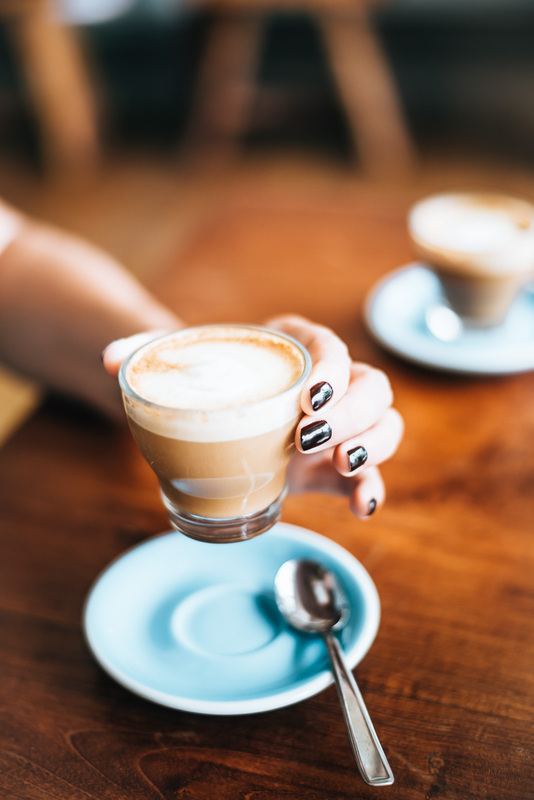 In Ibiza Town there are countless nice coffee shops. A very well-known is the “Croissant Show”, which is located in the heart of the old town in front of the old market hall. Especially in the garden in front of the coffee shop it is nice to take a seat. They serve breakfast, lunch and dinner. There are also lots of cakes and sweet pastries to choose from. 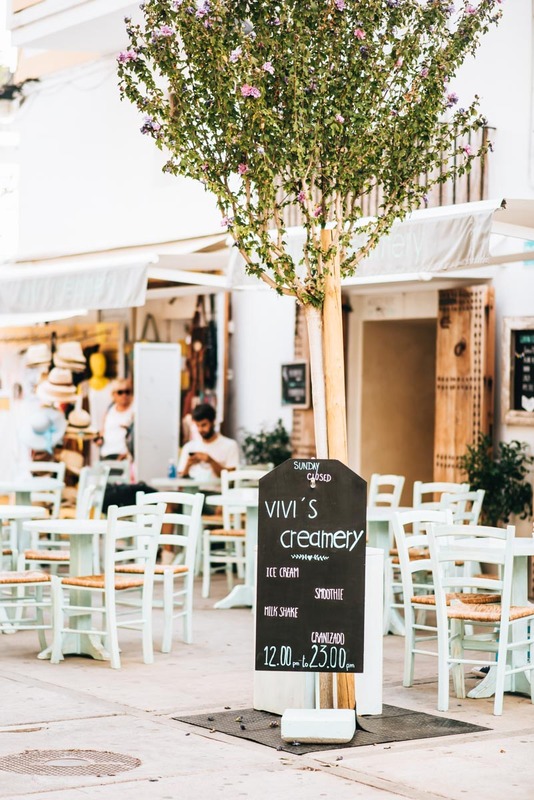 The Passion is our favourite place in Ibiza Town for a healthy breakfast or lunch. 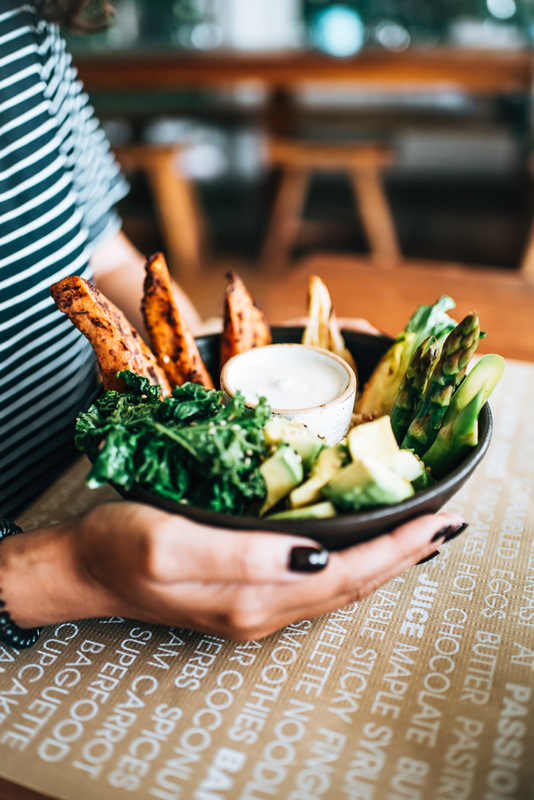 The menu includes lunch-bowls, salads and burgers, as well as a lot of smoothies. The coffee is delicious too. The only downside: The restaurant is located a little bit away from the old town in the district Marina. You need to walk about 20 minutes to The Passion. As everywhere else in Ibiza, the prices are rather above average: Our main courses (one of which you can see in the picture) cost around 15 Euros each. Perhaps the coolest restaurant for those who eat vegan is Wild Beets in the small town of Santa Gertrudis. 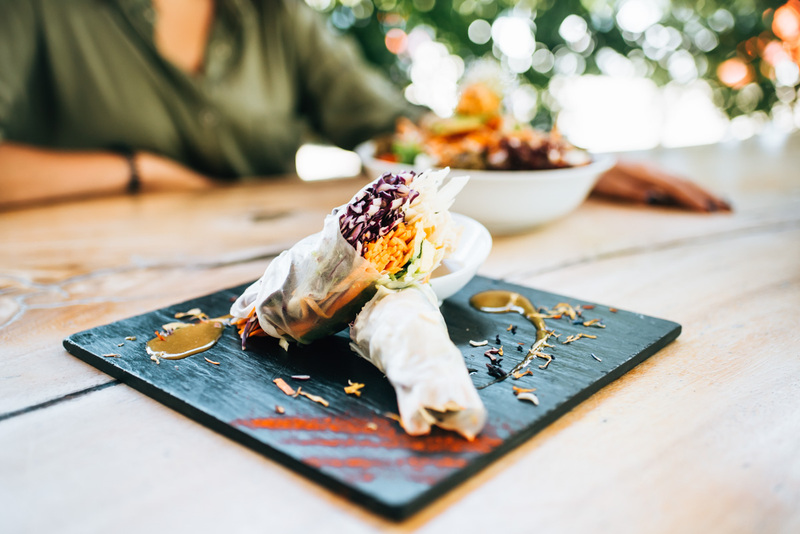 The menu features creative vegan dishes, some of which are even raw. The ambience is very cozy. Outside the restaurant there is also a small terrace. The prices are okay for what you get served. Main courses cost between 10 and 15 Euros. By the way, if you are already in Santa Gertrudis, we can recommend a short walk through the pretty village. We stayed in Ibiza in the hotel TUI Magic Life Cala Pada. Anyone who knows us knows that we are not typical all-inclusive vacationers. Nevertheless, we felt very comfortable in the hotel, which was mainly because the area was very spacious with beautiful greenery. As in all the TUI Magic Life hotels, the main meals (breakfast, lunch and dinner) are served as a buffet. In addition, there are two other restaurants where your food is served. We would especially recommend the hotel to families with children. 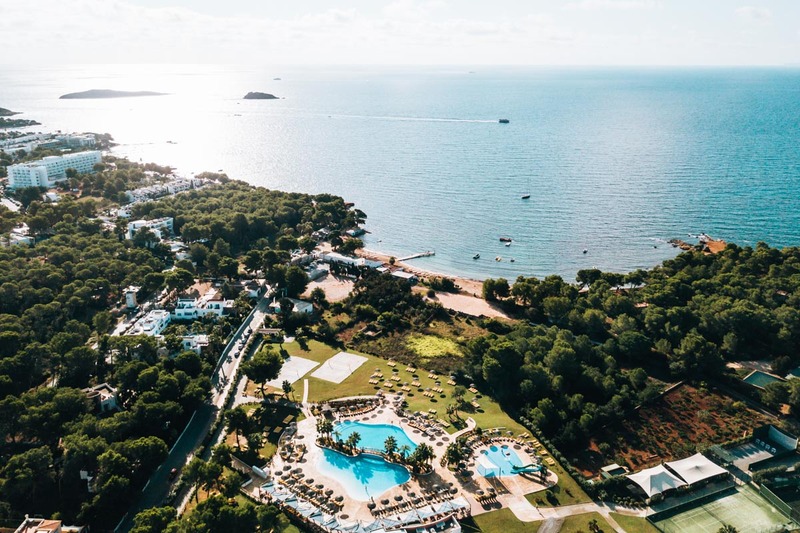 The offer in the TUI Magic Life Cala Pada is perfectly tailored to children. We really had the feeling that small guests were well looked after all day long. As a childless couple you have to be prepared to be surrounded by many children, which has not disturbed us personally. Big plus: There are six tennis courts, two beach volleyball courts and even a football field. The beach (“Cala Pada”) is located outside the hotel complex within walking distance. The sandy beach bay is very idyllic. It totally surprised us that during our visit in October we were able to observe both the sunrise (about 8 a.m.) and the sunset (about 19:20 o’clock) right from the shore. 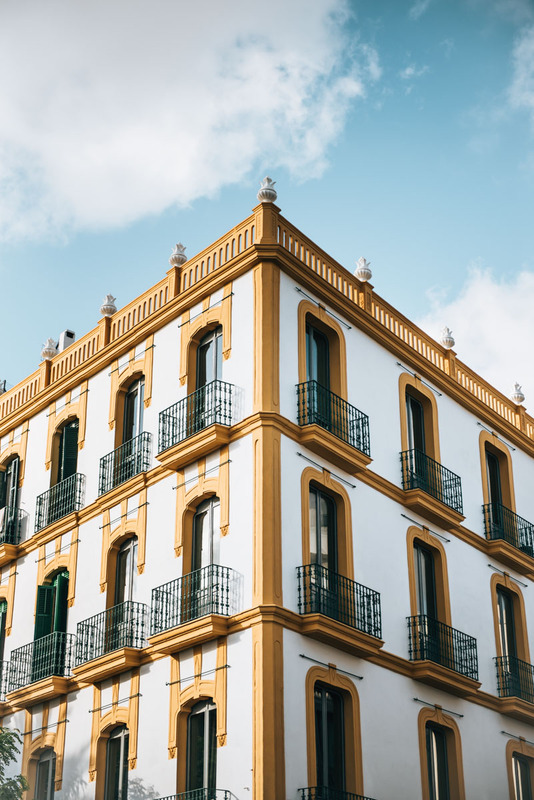 Before our trip to Ibiza, we asked you in our Instastories if we should rent a car for the rest of our holiday in Ibiza. 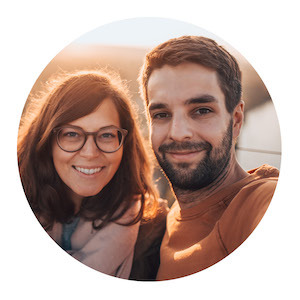 More than two-thirds voted in favor of “yes” and now that we’ve been there, we can confirm that a rental car is highly recommended if you want to explore the island as flexibly as possible. Usually we always book our rental car with Sunny Cars. This time, however, we decided to book the car directly in our hotel, the TUI Magic Life Cala Pada. It was totally uncomplicated and we picked up the car directly in front of the hotel and left it there after our trip. We paid about 60 € a day, which of course is above the price you would pay when booking via the internet. But if you really only need the car for a day or two, this is definitely the most practical option. As always, we can only advise you to invest in a fully covered insurance to the exclusion of the deductible. It costs just a few Euros more per day, but is definitely worth it. To be honest, we had the feeling that people drive relatively ruthlessly in Ibiza. A scratch on the parking lot happens so fast. It makes you feel better when you know you do not have to pay anything in case of an incident. 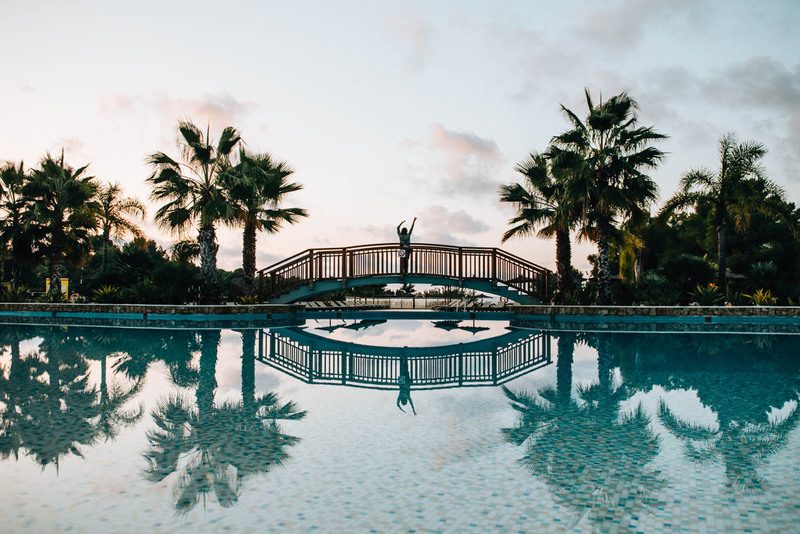 Transparency: We were invited by TUI Germany and the TUI Magic Life Cala Pada to Ibiza as part of a blogger trip (#TUIgrammers). Thank you for the great time! The first days we spent together with other bloggers. Afterwards we were travelling on our own in Ibiza. We paid some of the restaurant visits mentioned here, as well as the rental car. 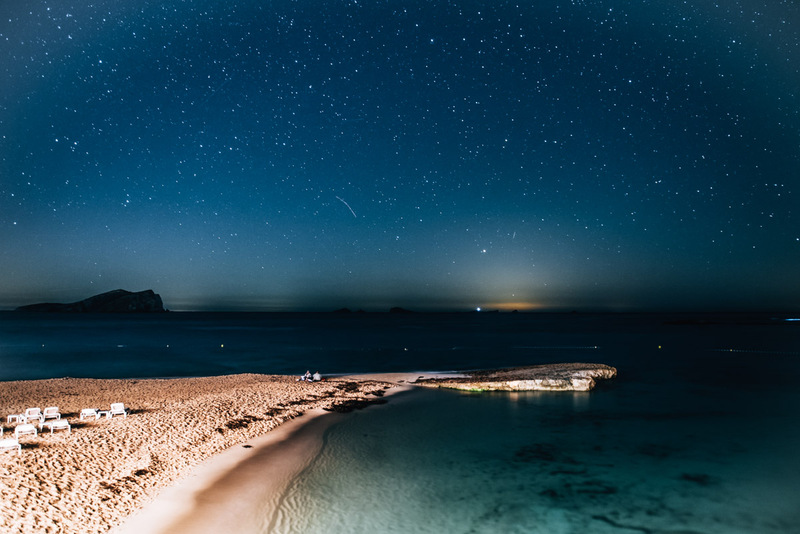 Have you been on Ibiza before? Do you have any further insider tips? We would be happy to receive your comments! 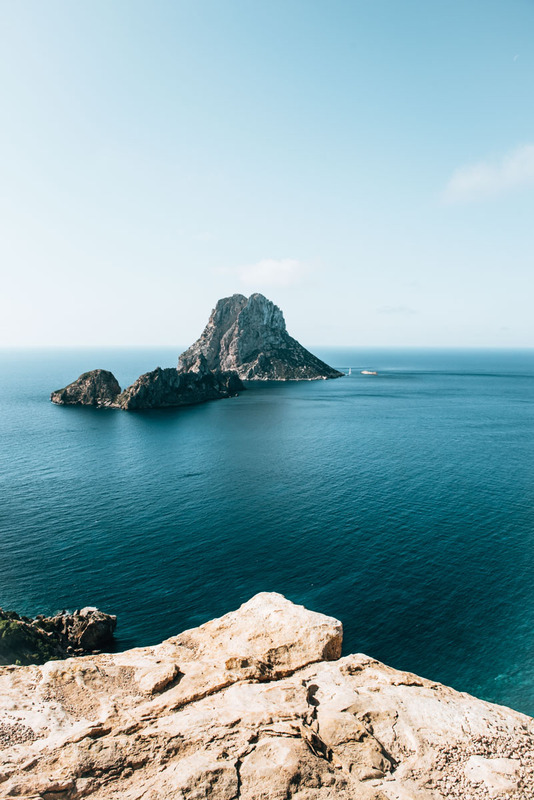 Some amazing photos and some good tips here even for the more experienced Ibiza goers, i’m yet to do a few of these things and i’ve been there over 10 times!